Hameedia recently introduced Real Men, a perfume line comprising three unique scents. 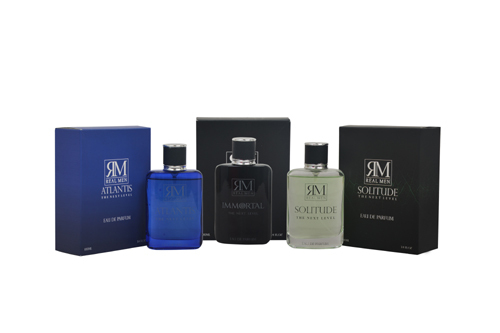 The middle upper new line, which will be available at Hameedia outlets island wide, features Solitude (a strong, bold and refreshing scent), Atlantis (a perfume created to inspire freedom and an element of mystery in men) and Immortal (a fragrance that exudes timeless elegance and allure). The three distinctive fragrances offered by the Real Men collection will bring out the true personality of gentlemen of stature, whilst enhancing their aura and confidence. All Real Men perfumes are formulated by the best nose in France, a leader in the fragrance development and perfume sector.